On 27th June 2017, Asterisk Realty partnered with Ernst & Young Tax Co (Japan) to co-host an informative seminar on global diversified real estate investment. It covered the current market positions and forecasts in UK, EU, North America, Australia, Japan and other blue ocean fields in real estate investment. Guest speakers commented on their respective markets and provided insights on developments they foresaw. The event was a private seminar for limited invitation only guests, and reached full capacity. Asterisk invited M&G Real Estate to speak on the trends of the UK and EU, Propertylink to speak on Australian market, and Bentall Kennedy to share their insights on the North American market. 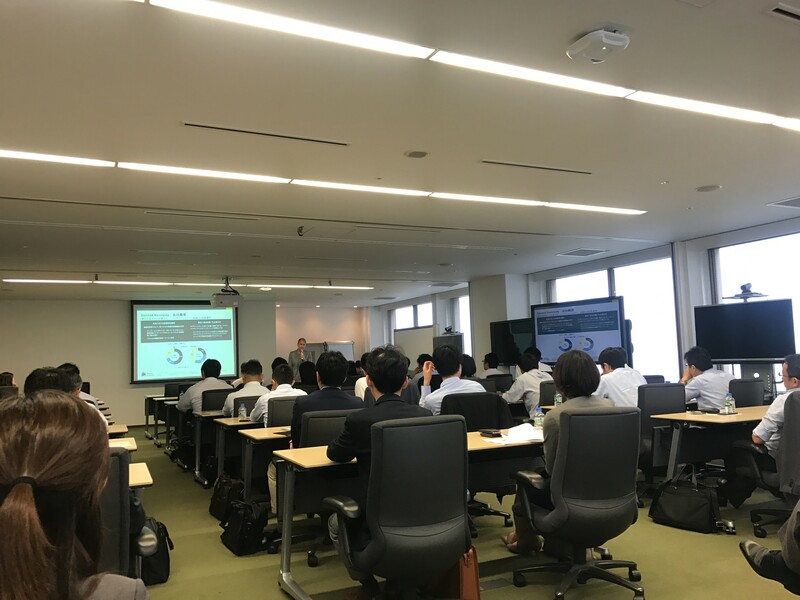 Ernst & Young Tax Co (Japan) gave a macro outlook on global real estate trends, as well as an overview on general tax regulations global real estate for Japanese investors. From survey results collected at the seminar, we have found that investors increasingly open to a variety of investment structures. With fund investments being most appealing, direct investments, and JV/ separate accounts were also popular structures that could be considered by Japanese investors. Over 80% of attendees showed interest in North American investments, roughly 50% were interested in UK/ EU investments, and 30% were interested in Australian and Asian investments. branded residences have had overseas through case studies, as well as highlight legal issues and structuring to consider when developing such residences. Guest speakers will include: Marriott International, MGM Resorts, Baker & McKenzie, Asterisk Realty, and a chairman of the Cabinet Committee. Attendees will include: Leading Japanese companies from real estate, construction, investments firms, hospitality, asset management, banking, infrastructure, entertainment, retail, and relevant government authorities and ministries. With the passing of the Integrated Resorts bill last December, Japanese companies and government authorities are keen to hear more on the business as well as the effects this new industry will have on tourism, luxury consumerism, and the real estate market as a whole. We predict the increase of tourism and boost in the luxury consumerism will have synergy with the luxury hotel residence development scene. We can predict the increase of demand stems from the success these developments have had in the overseas markets, and has caught the interest of Japanese investors. Please contact us for further details on our upcoming seminar. Asterisk Realty assists overseas fund managers as a strategic consultant with brand recognition, network establishment, and the introduction of institutional investors for capital placement. Without an established brand and trust in Japan, it is difficult for overseas fund managers to gain the trust of institutional investors. Asterisk Realty help to create business opportunities & brand presence through marketing activities, all of which are tailored to our clients needs, including but not limited to: marketing arrangements, product origination, and strategic partnership arrangements. Asterisk Realty is forming an investment fund for overseas hospitality real estate with a Japanese hospitality group. We are deploying Japanese capital, hospitality concepts & operations to the overseas market. We are keen to partner with local asset managers, developers and players in each market. Asterisk Realty’s network and expertise lie in these three segments. We provide overseas investors and operators in these segments with opportunities in the Japan market.